We are so excited to launch this brand new series! 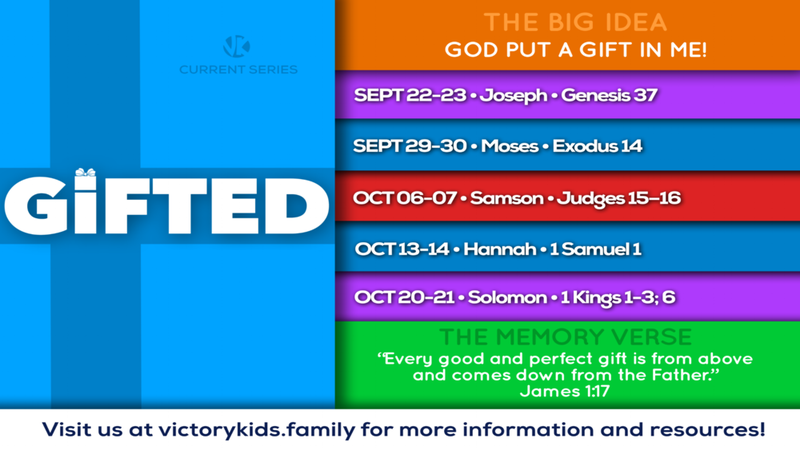 "Gifted" will focus on stories from the old testament that show how certain characters used what they were gifted at to stand out for God! God put a gift in me! and comes down from the Father.